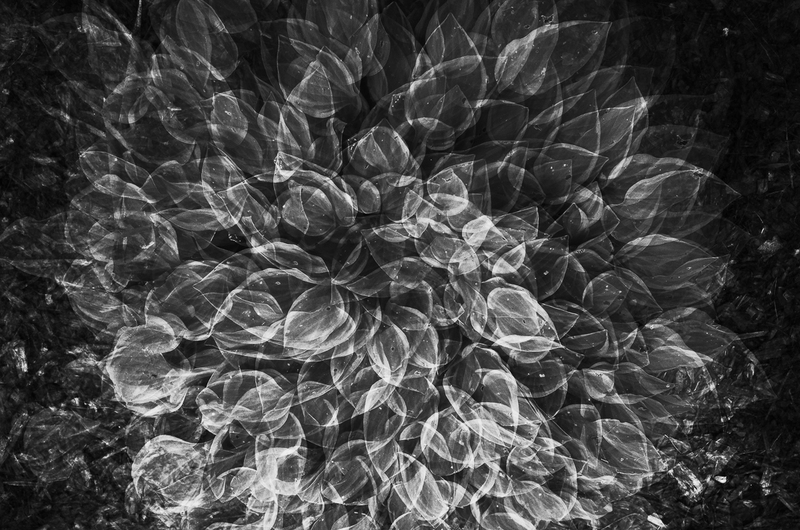 Decided to try an experiment with multiple exposures on a small hosta outside our house. 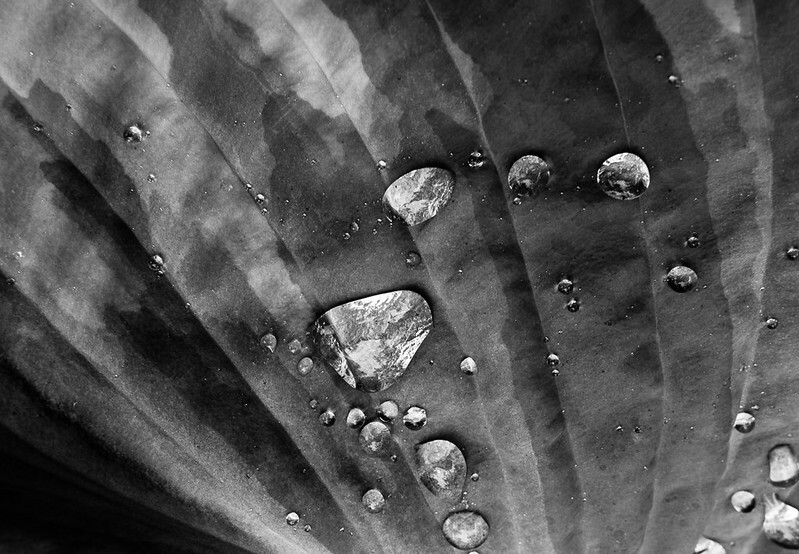 The Ricoh GR makes it easy: I kept going until it told me that was enough. This one was the fourth in the series which means that there are four exposures here. I got to five and it was nice too but somehow I liked this one best. This is a fun process and the real fun will be coming up with subjects ripe for this kind of technique. Thanks Gary and others who led me into this. 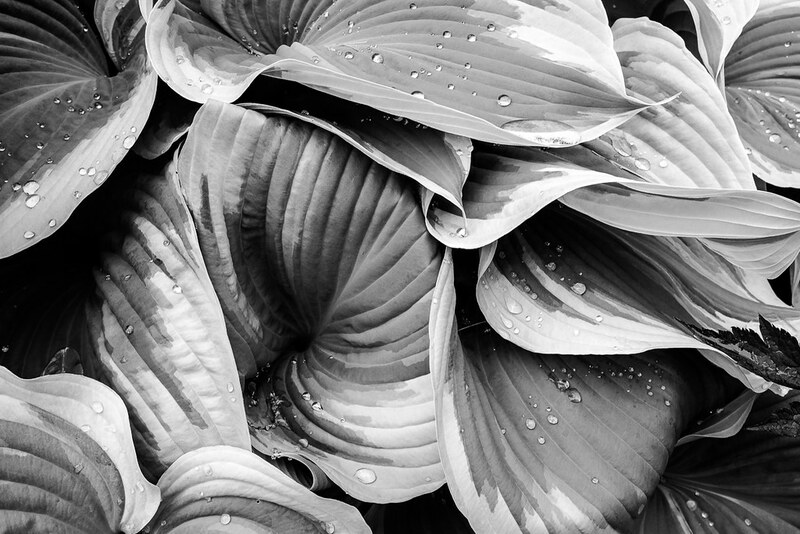 Our hostas seem to be going by right now but I found this amazing plant over at a friend’s house. 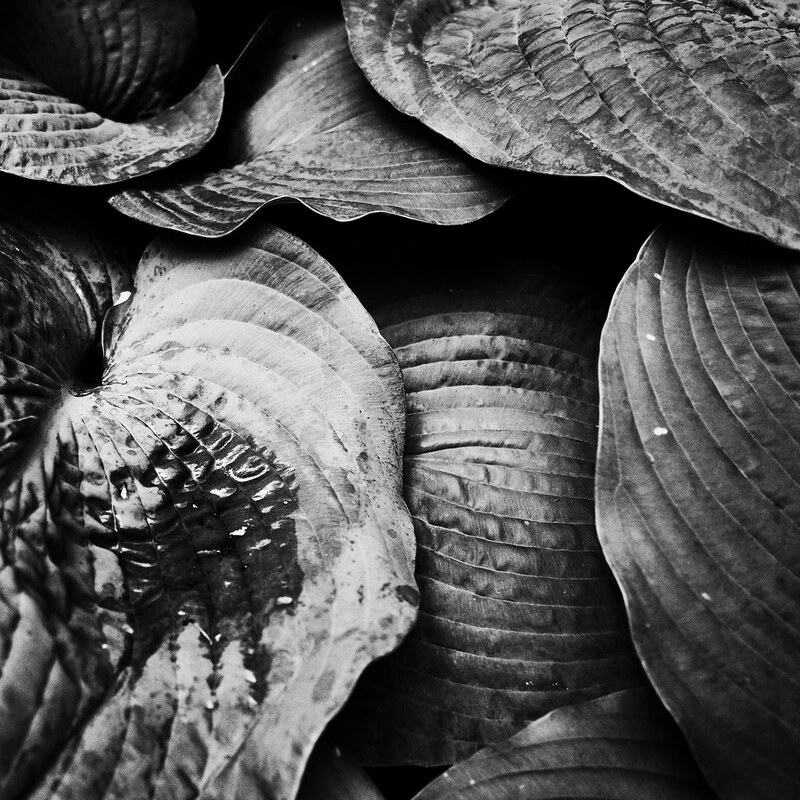 I love hosta leaves, they’re voluptuous. Update: I’ve replaced the original image with a new one. In printing the first version the slightly sepia color didn’t look great and I went with a more standard monochrome processing. I hate to replace an image after people have commented on it, my apologies if this messes anything up. I went over to a friend’s house to help her with her network and she told me her peonies were in full bloom. 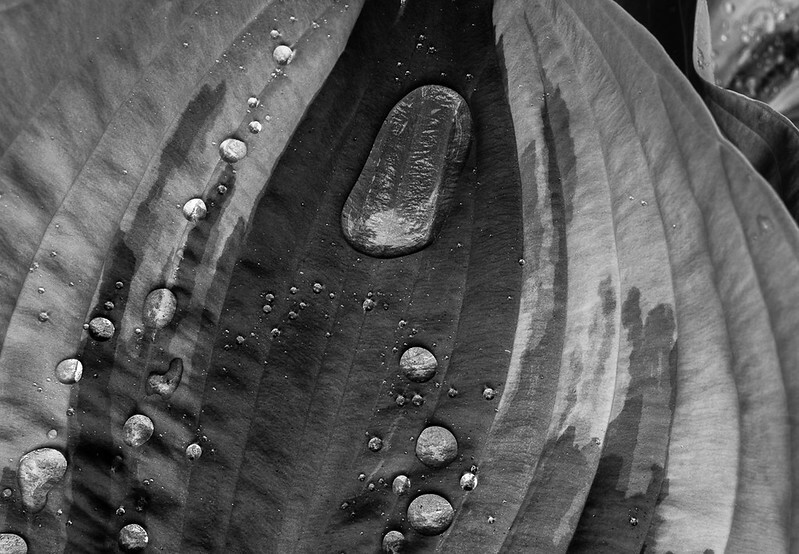 I took pictures of the peonies but her hostas had great water droplets on them and I shot them too. 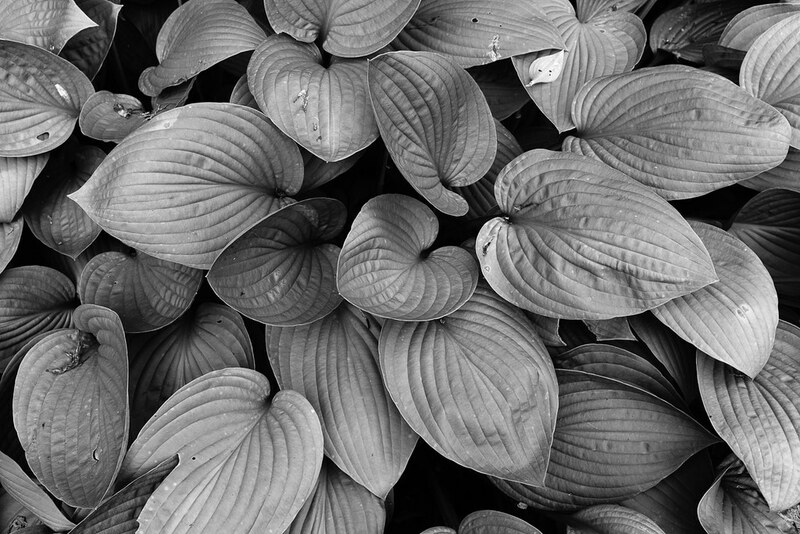 My flickr contact Isabelle Wolter took this picture of what look like overlapping hosta leaves with her Ricoh GR. We were out very early this morning cutting up some large red oak logs from trees that were taken down last spring (my large saw with 20″ bar had to make two passes). Fantastic wood and once split and dried it’s going to heat our houses well three years from now (we work three years out). 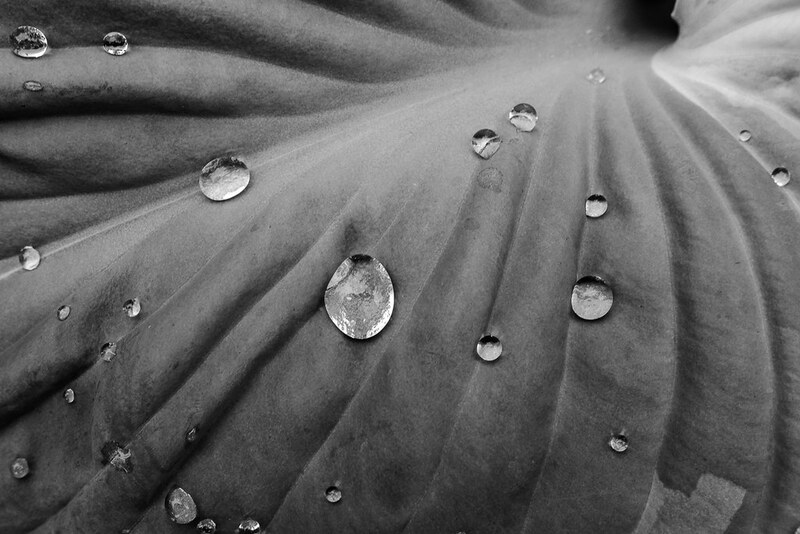 It started raining while we were working and I noticed some water droplets collecting on a hosta plant nearby. 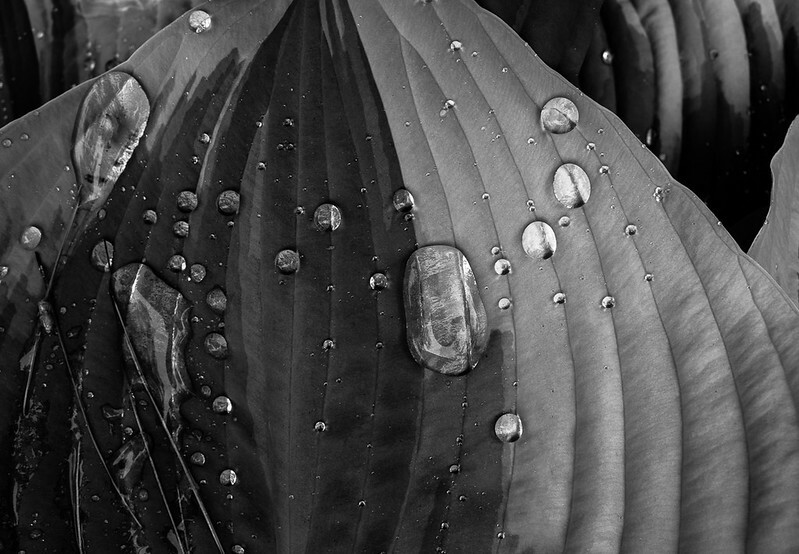 Took a few images in the rain and this is what I got. 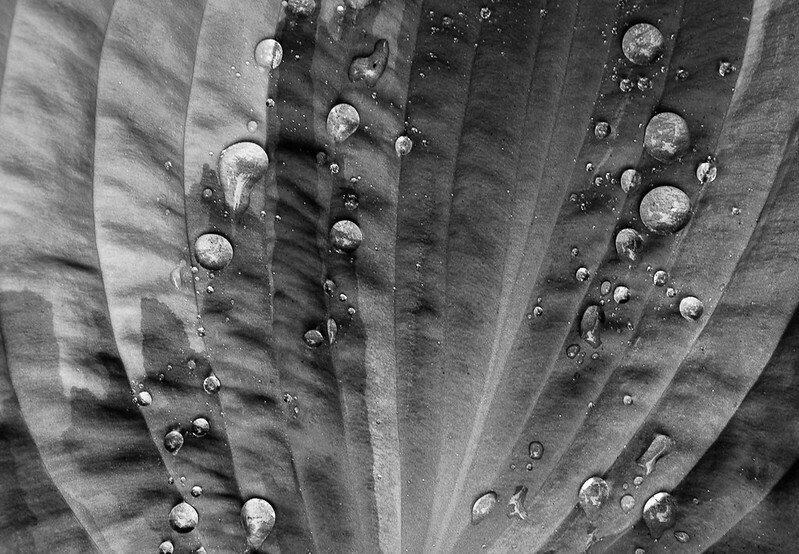 Not quite as sharp as I’d like but still some interesting patterns and textures. 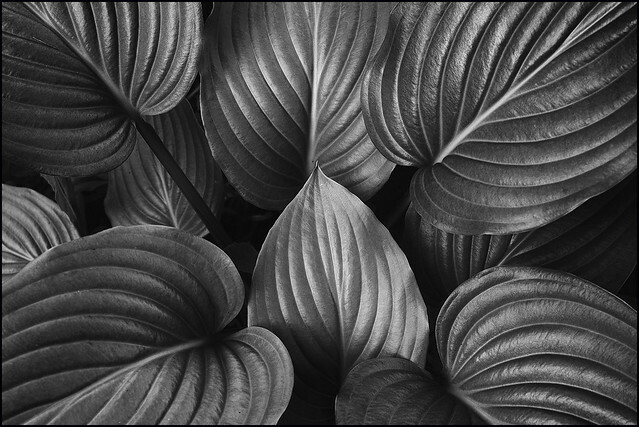 Flickr member Gene Wilburn posted this stunning black and white of a hosta plant’s leaves. Beautiful work.